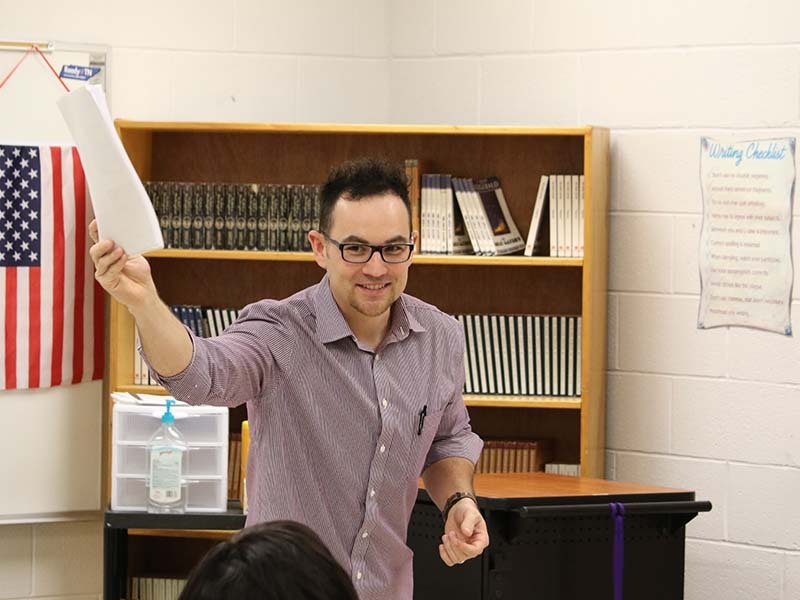 The English Department strives to educate, equip, and propel students from all areas of academic capabilities and backgrounds to the next level of progress, whichever path and journey that may be. Comprised of a team of professionals, the department collaborates on a variety of techniques to utilize in the classroom at each grade level; included within those discussions are ways to challenge and develop the student, while weaving our own unique teaching styles into the fabric of the TN State Standards. Multiple methods of differentiated instruction is paired with an extensive variety of technology in order to devise different venues of content presentation and analysis. Students are also exposed to multilayered teaching strategies so as to increase likelihood of content retention and classroom success. Expectations within the classroom are communicated to the student beginning on day one. The students can expect to be challenged, respected, inspired, and above all—valued. Hopefully the community can trust that we, as educators, are continually revealing to the student that despite where they may come from, despite previous circumstances/results, and despite how “near-sighted” they may or may not be, success is possible and ongoing, so as long as the necessary attitude and effort is ongoing. Communication between the parent/guardian and educator is vital for challenging the students, as well as holding them accountable to their academic process. Without any significant challenge, the student cannot expect any substantial amount of growth. However, even more important is the connection and communication between the parent/guardian and student—it is foundation for intrinsic motivation. Without any authentic motivation, we cannot expect the next generation to aspire for social contribution. A way parents/guardians can get involved with the student learning experience is by making that initial effort to communicate on a daily basis with their student on in-class activities, etc. English teachers, just as well, also endeavor to keep an open line of communication for any needs/concerns with the student in question—whether it be by phone, email, or scheduled visit. Being proactive rather than reactive is essential to accommodate the learner’s path to success. Some of our most enjoyable moments include, but are in no way limited to: students understanding and applying learned strategies within the spectrum of English Language Arts, building communication skills derived from in-class instruction, positive attitudes gained from recognizing individual and peer achievements, student discovery of purpose and value in academic growth, and more importantly— student enlightenment of a hope and vision for tomorrow.